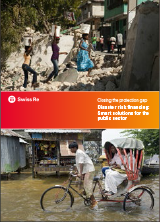 Our publications provide the gateway to Swiss Re’s broad knowledge base and expertise. They cover a wide range of topics: from technical reinsurance issues and emerging risks to natural perils, economic trends and strategic issues in our industry. This is a selection of recent publications, in addition to those featured in Selected publications of 2016. Natural catastrophes are increasing in frequency and severity. What is more, the gap between economic and insured losses has remained stubbornly large. The consequences are especially severe in emerging markets, which are both the worst hit and the least prepared. Tools exist to narrow that gap using innovative solutions that can help countries, cities and individuals preserve hard-won development gains. 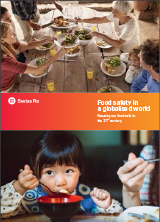 Risk management tools that ensure our food is safe already exist, but they must be applied and adapted to ever more complex global markets and supply chains. Adaptation also means spreading lessons learned. This publication is part of the process. 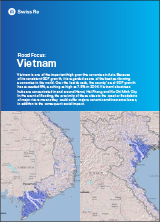 Vietnam is one of the important high growth economies in Asia, but the country’s major cities are prone to flooding due to being located on the coast or on flood plains. This publication examines these issues and offers solutions. Unconventional monetary policies help to finance the public sector’s debt burden. While a number of these policies were crucial and beneficial to managing the financial crisis, they also come with significant costs. 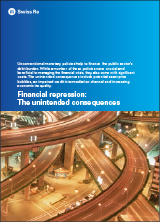 The unintended consequences include potential asset price bubbles, an impaired credit intermediation channel and increasing economic inequality. 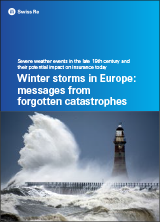 This publication analyses severe weather events in the late 19th century and their potential impact on insurance today. Smart modelling can help China strengthen its resilience to typhoon risk. 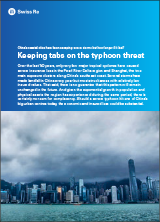 In this publication, Swiss Re NatCat experts describe a modelling approach that could offer Hong Kong and Shanghai a way of preparing more systematically for natural disasters. 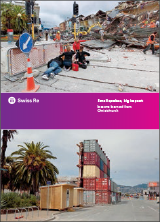 Discover how a small aftershock in Christchurch, NZ – a city not considered an earthquake hotspot – triggered one of the largest insurance losses ever. Our report points to soil liquefaction as a contributing factor and considers the potential for similar scenarios in Tianjin, Jakarta, Vancouver and Singapore. With its exceptional size, perpendicular track to the coast and record-breaking low pressure, Sandy is generally regarded as a 1-in-500-year event. The storm offered many new insights to modellers, underwriters and coastal communities, but it should not be the only catastrophe benchmark in the quest for improved resilience. 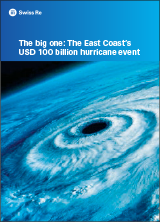 This publication draws on hurricanes of greater magnitude to paint a scenario that will help plan for the future. 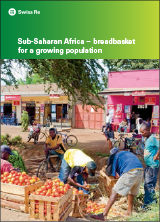 Farmers in Sub-Saharan Africa are heavily exposed to weather-related events like flood or drought. If they are hit by a natural catastrophe, they often abandon their land. 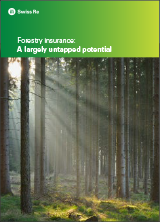 Insurance can help to keep farmers in business and contribute to a more resilient society. Ten years after the first tropical cyclone ever recorded in the South Atlantic, we investigate the possibility and potential impact of another event like it. 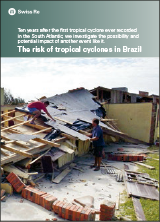 The study by Swiss Re and the Swiss Federal Institute of Technology (ETH) explores the main atmospheric conditions that lead to the development of tropical cyclones in the South Atlantic. 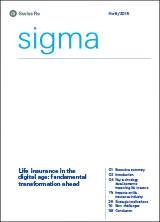 For more than three decades, the sigma series has been a trusted source of market information for managers and specialists in direct insurance companies worldwide. To ensure a truly global readership, sigma appears in six languages: English, German, French, Spanish, Japanese and Chinese.